Bermuda’s Paul Ray brought home the silver medal from a Special Olympics event in Florida held by the US Professional Golfers Association. The 54-year-old, who has Down’s syndrome, is a volunteer at the WindReach Recreational Village in Warwick and has in the past competed in Special Olympics events for disabled horseback riders. But last month marked the first time Mr. Ray had teed off in a Special Olympics golf tournament, one featuring a roster of more than 200 players from 21 US states, plus Bermuda and Canada. The 12th Special Olympics Golf National Invitational Tournament at PGA Golf Club was held in Port St. Lucie, Florida from September 22-25. 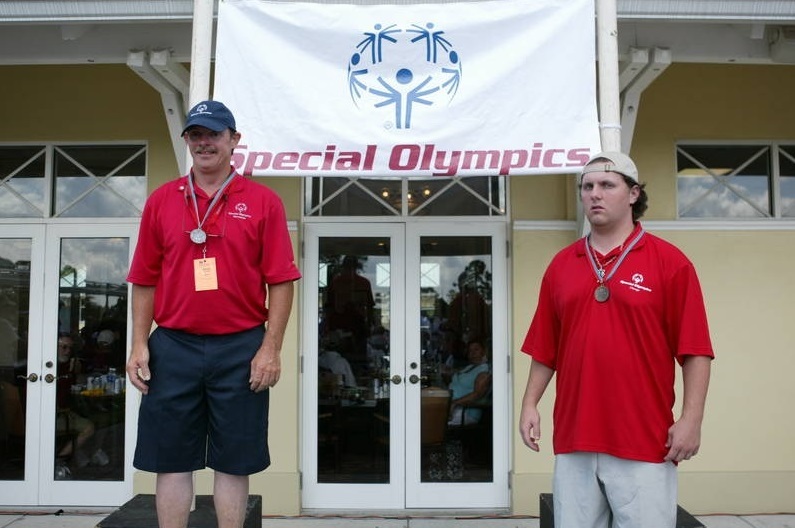 Bermuda’s Paul Ray [left] and fellow competitor Peter Hertl at the awards ceremony during the 2011 Special Olympics Invitational Golf Tournament held at PGA Golf Club in Port St. Lucie, Florida, Sunday, September 25. Special Olympics golf is part of the worldwide Special Olympics sports movement for children and adults with intellectual disabilities. Special Olympics golfers, ranging in age from 14- to 73-years old, competed in one of five levels of competition on the award-winning Ryder and Wanamaker Courses of PGA Golf Club, a six-time host venue of the event. Olympic-style Opening Ceremonies were held on Thursday, September 22nd, with three competitive golf rounds played Friday, September 23rd, through Sunday, September 25th. The medal ceremonies for the golf competition took place immediately following the final round on Sunday, September 25th. 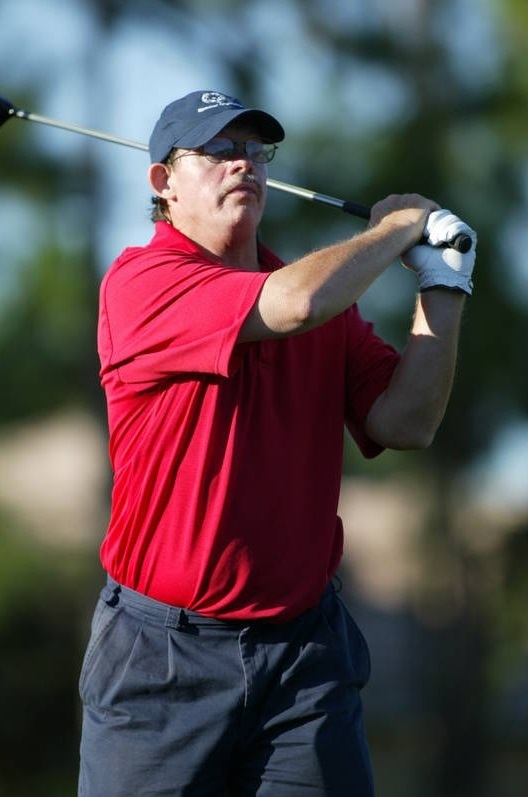 The Special Olympics golf programme began in 1988 with the assistance of the PGA of America and US Golf Association. Paul Ray from Bermuda during round Two of the 2011 Special Olympics Invitational Golf Tournament held at PGA Golf Club in Port St. Lucie, Florida, Saturday, September 24. Congratulations Mr. Ray! Good for you! I hope you had a great experience – sounds like it was quite a nice tournament. Well done! way to go Paul……hard work pays off…..
Well done mate. I say you earned yourself free tickets to the grand slam. Give that man some tickets!!!!!! Well done Paul! You do the Island of Bermuda proud!